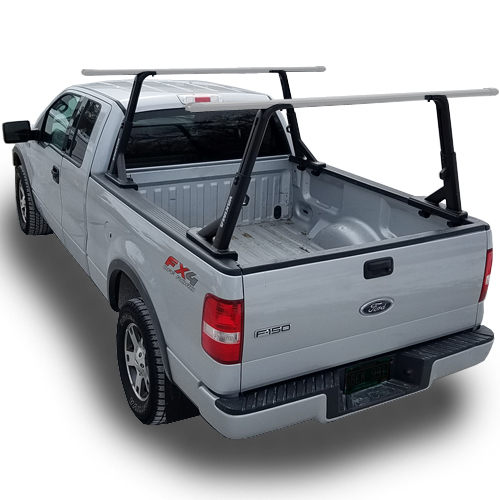 BackRack Cab Guards, Window Guards, Safety Racks, Headache Racks and Safety Light Brackets protect your pickup truck rear window and cab from flying objects and shifting cargo. 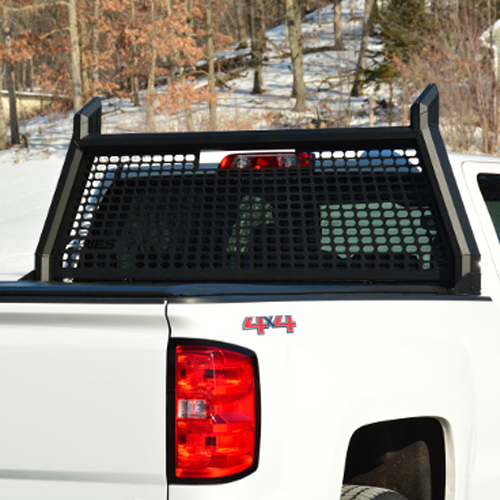 The Original BackRack Cab Window Guards and BackRack Safety Racks are each available in 2 styles: Standard BackRack Window Guard, BackRack Window Guard with a Toolbox Mount Kit, Standard BackRack Safety Rack and BackRack Safety Rack with a Toolbox Mount Kit. 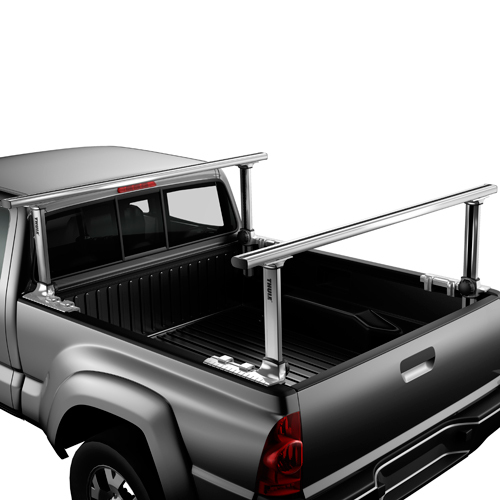 BackRack Safety Light Brackets, Pickup Truck Bed Side Rails and Rear Bars are also available from RackWarehouse.com. If you demand more from your equipment, you should demand a DeWalt Industrial Grade Steel Headache Rack from The Rack Warehouse. RackWarehouse.com stocks DeWalt Pickup Truck Headache Racks, DeWalt Cab Window Guards and DeWalt Window Guard Mounting Kits. All 2014 DeWalt Pickup Truck Window Guard Industrial Grade Hi-Vis Screens are on closeout at 50% off. Quantities are limited. 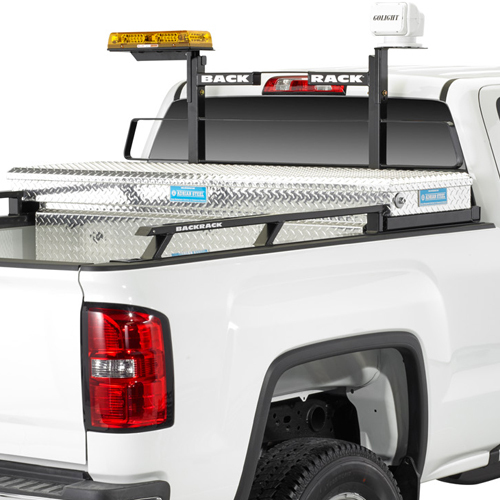 The Rack Warehouse stocks all System One Pickup Truck Racks and Accessories. The System One I.T.S. Contractor Rig and the System One I.T.S. Utility Rig are leaders among aluminum overhead heavy-duty work racks. System One I.T.S. 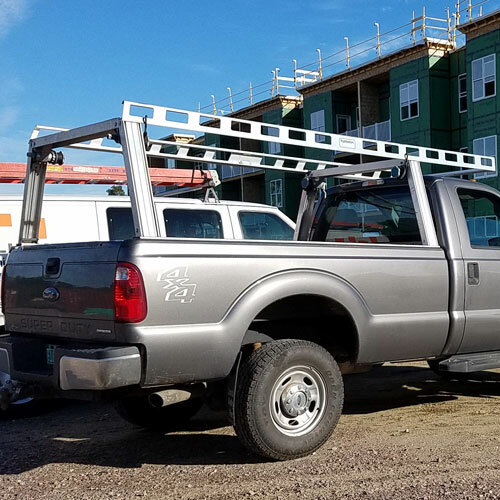 Pick-up Truck Racks are used to carry ladders, lumber, pipe and other long items. The System One Contractor Rig extends over the roof of the cab and carries up the 1250 lbs. The System One Utility Rig is positioned over the bed of your truck and carries 600 lbs. Both racks are built with aluminum components and stainless steel fasteners. The Contractor Rig's rear crossbar is removable for easy bed access. The Utility Rig's rear crossbar and attached leg assembly is removable for access to the rear of your truck bed. Thule Pickup Truck Racks and Thule Pickup Truck Rack Accessories offer options for carrying bikes, kayaks, canoes, SUPs, windsurfers, surfboards, and other gear, in or above the bed of your pickup truck. The Thule Xsporter Pro is Thule's premier aluminum, height adjustable, overhead pickup truck rack and is ideal for carrying up to 450 lbs of long items above the bed of your pickup. The GateMate, BedRider, LowRider and InstaGator offer bicycle carrying options for the bed of your truck. Thule Xsporter Pro Bike Racks and Thule Trailer Hitch Receiver Mount Bike Racks are also available for your pickup truck. 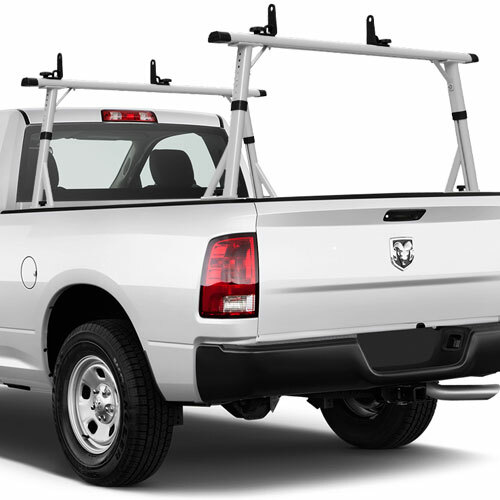 Thule TracRac Pickup Truck Racks are rugged, durable, equipped with accessories, and manufactured in the USA. The Thule TracRac line of slick looking aluminum pickup truck racks are available in several styles to carry ladders, lumber, pipe, kayaks, canoes, building materials and other gear. The Thule TracRac G2 Sliding Aluminum Rack is our top of the line truck rack and has a 1250 pound load capacity. The Thule TracRac G2 Sliding Aluminum Rack can be adjusted in length along heavy-duty base rails or quickly removed. 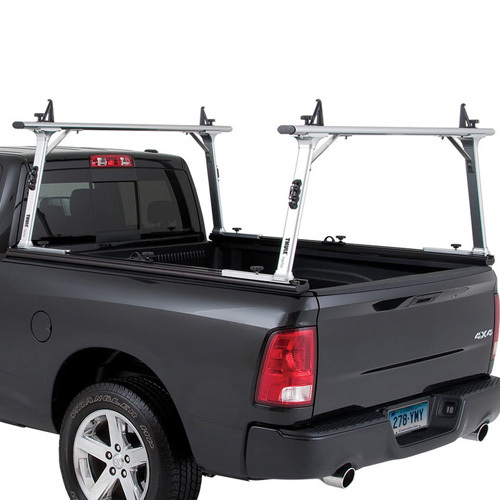 Clamp-on Thule TracRac pickup truck racks like the G2 T-Rac and TracOne, C-clamp to the corners of your truck bed. Thule TracRac CapRac is available for fiberglass pickup truck camper shells, toppers and caps. Thule TracRac CabRac Window Guard is in stock to protect the cab and rear window of your pickup truck from shifting cargo. Thule TracRac Accessories include window screens, base rail tie downs, crossbar tie downs, tool box mount kits, kayak saddles and more. 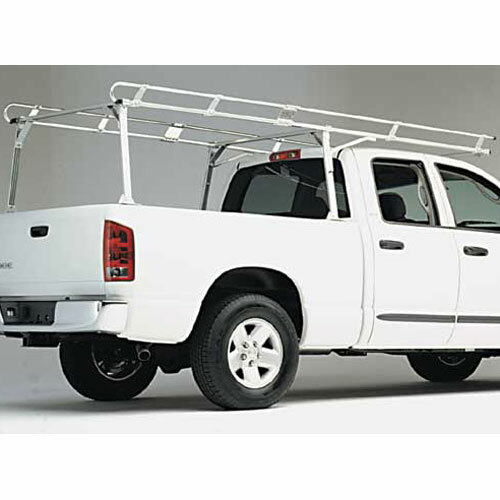 The Rack Warehouse stocks all Thule TracRac Pickup Truck Racks and Accessories.